Although it’s barely fall, we’re already preparing for spring. Spring fashion that is. On the recent runways, we were given the opportunity to see what’s in store for the new year. 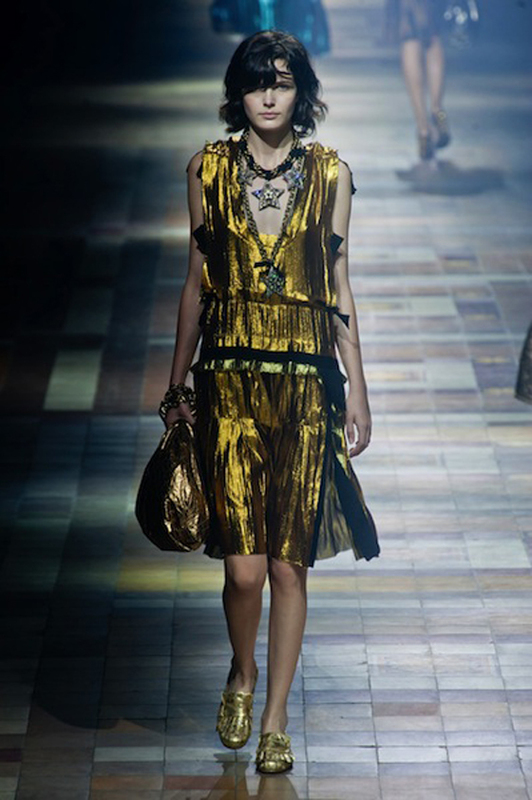 Designer Alber Elbaz of Lanvin showcased an array of colorful lame. Styles varied from jumpsuits to cocktail dresses, incorporating pleats and ruffles. The metallic sheen of Lame allowed it to dress up or down, while adding a flare of fun elegance. Lame has a personality all its own. While prevalent in fashion, it also has a place in architecture. Why not incorporate Lame in a restaurant or nightclub environment? This fabric has metallic qualities and longevity in class.